People are always asking us what the best alternative treatments are for their pain conditions. Given the vast number of modalities available under the “alternative” label, it is no wonder people feel overwhelmed when trying to choose the best one for them. In this article we’ll look at an overview of 10 of the best natural, non-invasive therapies for pain. They each have their own focus and methodology, and based on your specific signs and symptoms the correct treatment for you should jump right off the page. Massage Therapy: There are literally hundreds of styles of massage. Which one is best for you will depend on your comfort level. Standard massage is good, moves toxins through the body and is relaxing. But it often does not correct structural problems or offer enough correction in the range of motion, and it is limited range of motion and inflammation that are causing pain. It is a good idea to use the internet to look for an individual trained in some of the more specific massage methodologies, like: deep tissue, neuromuscular technique, Thai massage and myofascial release. Any of these specialties offer so much more in terms of somatic correction when combined with standard massage. Qigong Therapy: Qigong is an ancient Chinese system of energy cultivation. Also called “breath work,” qigong exercises balance energy in the body through coordination of thought, breath and movement in specific actions. The nucleus of qigong is the exercise of consciousness and vital energy. Regular practice of qigong exercises aid in regulating the functions of the central nervous system. Along with exercising and controlling one’s mind and body, qigong influences one’s physical states and pathological conditions. There are both practitioner applied and individual self-regulating qigong methods. If you are in serious pain and can find a reputable local practitioner, make an appointment. If not, there are good qigong instructional programs available. Look into them. By calming the nerves, regulating blood pressure, relaxing the muscles and slowing the mind, the body can relax, move more blood, and release its tight muscle holds. Less pain is not far behind! Polarity Therapy: Like qigong, polarity therapy also sees the human body as being comprised of “life energy.” However, polarity therapy takes the view that the energy body is in a state of constant “pulsation,” with positive and negative poles and a neutral position. These poles and position form a kind of energetic “template” along the body, on which a practitioner can apply touch and pressure to alter the pulsations and derive pain relief and better general states of health. While it shares common ideas with acupressure and qigong, polarity therapy is more aligned with Indian Ayurvedic medicine and modern osteopathic and chiropractic theories of the body. When people have gone through the complete series of acupuncture or qigong treatments recommended by their practitioner, and have not found substantial relief, trying polarity therapy may be the next best modality to embrace. Often times, a person’s polarity (positive/negative energy poles) is reversed and one or more polarity sessions can correct this. Acupressure and Acupuncture: All Chinese body-healing practices are based on the idea that energy flows through the body in channels called meridians that transport energy and life essence from organ to organ. Where there is low energy or energy or fluid blockage, there is pain and soon disease. Acupressure is the non-invasive and non-needle offspring of acupuncture. Both work on the same theory, and in both cases, the practitioner will either “needle” or apply finger pressure to specific points on the body. Using a correct “prescription” of points, the practitioner can in effect change the energy in a patient, open their channels and help their energy move more freely. Again, when energy moves freely… there is no pain or disease. Acupuncture and acupressure are both widely practiced today and worth looking into. They have been around for five thousand years and have helped millions of people… not too shabby! Jin Shin Jyutsu: Similar to its Chinese cousins, jin shin jyutsu aims at balancing the physical and mental energies in the body. It views the body as being composed of a trinity of energy pathways that, when functioning properly, harmonize mind, body and spirit. Unlike acupuncture’s 360 acu-points, jin shin jyutsu’s healing is based on manipulating and opening 26 energy points, known as the “safety energy factors.” When activated through finger pressure, these points unblock stagnant energy, relieve tension and allow energy to flow in the body, unobstructed. Like acupressure, patients can both receive treatment from a practitioner, or they can learn self-pressure methods to regulate their own energy centers. Since the ideas of jin shin jyutsu and acupressure are very similar, and work on the same energy systems in the body, the one a person chooses to embrace is usually based on ‘personality’ or ‘characteristic’ of the healing practice and treatment center. Different personalities work better for different people. And healing modalities, like people, have definite personalities. Hypnosis: There is nothing more powerful than teaching your brain how to control pain and encourage healing. There are many forms of hypnosis and in some states only licensed psychologists can perform hypnosis on patients. The basic idea of hypnosis is to switch off the ideas in the mind that prevent one from achieving their goals. And issues like, “I am always in pain” and “Nothing ever helps” are negative mantras that keep one’s mind and body locked in the pain cycle. The sooner these thought are released and replaced with positive ones, the faster the pain relief and recovery begin. Look online and see what is available in your area, but be sure that “pain” is on the top of their list of specialties rather than hidden under a dozen other areas like smoking, anxiety, weight loss and others. There are also good hypnosis audio programs from reputable companies, like The Hypnosis Network, that can help you. Herbal Medicine: Chinese Herbs promote healing through the bloodstream and meridian complex by balancing organ energy. Over several thousand years of use with millions of patients, herbalists have derived specific “patent formulas” for nearly every health condition… including pain. These formulas contain an average of four-to-six different herbs each–some for stimulating blood, others for coating the stomach, others for pulling the herbals to lower parts of the body. These Chinese herbal remedies are not single-dose herbs for problems, like we see in the West. 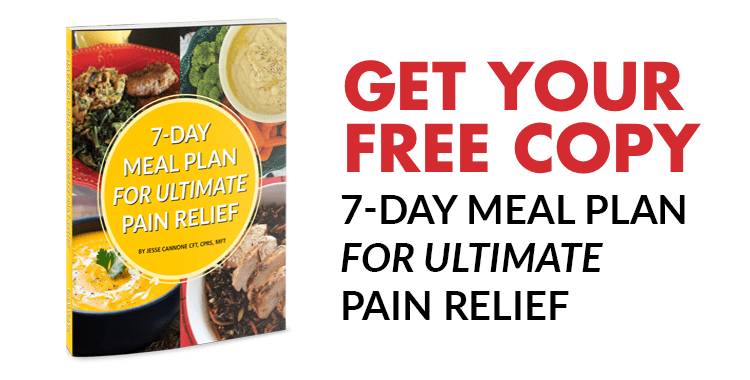 Many herbs are combined into each formula to provide a well-rounded method of stopping the symptom while at the same time balancing the body to keep it from returning. Since there are many types of pain (e.g., tendonitis, bruising, flesh wounds, headache, etc), there are many pain formulas. Having the correct diagnosis will go a long way to choosing the correct formula for your pain. An herbalist will tell you if merely calming the liver or boosting kidney function will relieve the pain over time, or if an actual analgesic pain formula is needed along with a blood-moving formula. Thus, it is advised that one see an actual herbalist before attempting to self-diagnose and prescribe herbs. If a licensed herbalist is not easily accessible, there is a very strong all-purpose systemic enzyme formula for pain and inflammation called Heal-N-Soothe® and a topical pain cream called Rub-On-Relief®, that work great for the “pain” piece of the wellness puzzle. Inversion Therapy: Two thousand years ago the Greeks discovered that hanging upside down at various angles for various amounts of time helped citizens with back pain. And today, inversion therapy is helping millions of people with tight muscles, herniated discs and sciatica. Relieving back pain is the primary reason for considering inversion therapy, as it gently creates space between the vertebrae, lengthens the spine, relieves nerve pressure and stretches tight back muscles. In addition to pain relief, regularly inverting will help you avoid the “shrinkage” that naturally occurs as a result of gravity over a lifetime. It also improves circulation and lymphatic drainage as when you’re inverted, gravity helps blood to circulate and the lymphatic system to clear toxins faster, easing the aches and pains of stiff muscles. 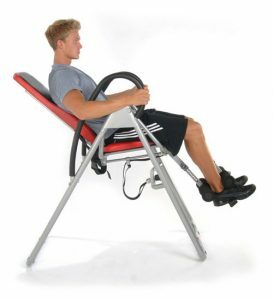 There are just so many benefits to using inversion therapy for even just a few minutes every days, that is it something everyone with back pain should look into. Trigger Point Therapy Trigger points, a type of muscle stiffness, are the result of tiny contraction knots that develop in muscle and tissue when an area of the body is injured or overworked. Everyone has trigger points; the question is to what degree. If you have lingering pain, tightness or restriction of certain movements, it is a good bet that you are experiencing the affects of a trigger point. Massage therapy is usually insufficient when trigger points have a hold on your body and are the cause of your pain. What is needed for relief here is sufficient deep sustained pressure to the “knotted-up area.” As the trigger point is worked out, your body will undergo soft tissue release, allowing for increased blood flow, a reduction in muscle spasm, and the break-up of scar tissue. It will also help remove any build-up of toxic metabolic waste. Trigger point therapy can be received at the hands of a manual therapist trained in its method. There are also good self-treatment trigger point systems that can work just as well, or better. With a self-treatment trigger point system, you can apply pressure to the trigger points every or several times per day until relief is found. Muscle Balance Therapy Whether your goal is to stay healthy or to get lasting relief from your pain, you should know that pain develops as a process. Muscle Balance Therapy™ addresses the underlying cause of your condition while at the same time brings relief to your symptoms. In essence, it attempts to reverse the process that brought you pain and to bring your body back to a more neutral state. Muscle balance therapy is an innovative approach to eliminating back pain once and for all, starting with a careful yet simple assessment of all the muscles that affect the stability of your hips, pelvis and spine — from both strength and flexibility perspectives. MBT uses both physical and visual assessments to ensure accuracy. In other words, the physical should confirm the visual, and the visual should confirm the physical. In the absence of these assessments, any exercise you might try is going to put you at risk of strengthening a muscle that does not need to be strengthened, which can make your condition worse. The same is true for stretching: If you stretch a muscle that does not need to be stretched, you could be doing more harm than good. Once your assessments are done, you will have proved to yourself that you do have muscle imbalances and that you have one or more postural dysfunctions. You also will have learned the root cause of your condition. Best of all, you will know exactly how to correct the problem. The Lose the Back Pain® System is the best product on the market to learn about muscle balance therapy, do the self-assessments, and learn the program of correction tailored to your specific imbalances.